This lamp can be placed in any part of the home – like a real classic. The elegant design can be fitted in seamlessly in many areas. 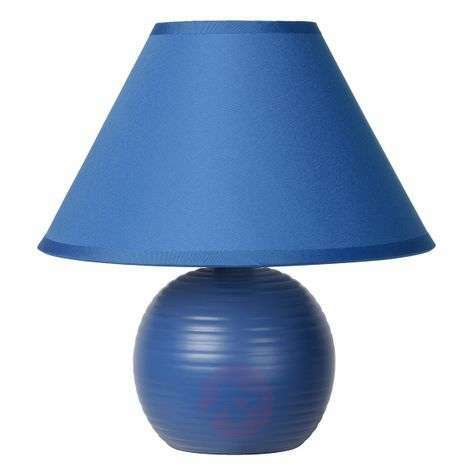 The light features a velvety lampshade in a bright blue cotton, which is adorned with two shimmering stripes, and a round ceramic base.